Update: The constitutional amendment to take some oil and gas tax revenues and direct them towards road project funding passed by a wide margin – 79.78 percent for to 20.21 percent against. Original Story (Nov. 4, 12:21 p.m.): So much digital ink and airtime has been spilled over Austin's rail and roads proposition (commonly known as Austin's Prop 1), which would add a billion dollars in city debt to build a starter light rail line and improve state roads. But that isn't the only transportation item on the ballot this year. There's also a statewide proposition (also commonly known as statewide Prop 1) that could have an impact on Texas roads. Our political reporting partners at the Texas Tribune put together the handy video explainer above to walk you through it. If three-minute videos on state constitutional amendments aren't your thing, here's the gist: some of the tax revenue from the oil and gas drilling boom would go towards state road funding. Texas has plenty of tax revenues from oil and gas drilling at the moment. Once those revenues reach a certain level, the "overflow" goes into something called the Rainy Day Fund. That fund is projected to hit $8 billion next year. Diverting some of that oil and gas production tax revenue from the Rainy Day Fund would help the Texas Department of Transportation meet some of its funding needs, even though it would still be a few billion dollars short every year. The money cannot be used on toll roads. The proposed constitutional amendment is expected to pass, and polled well during early voting. It faces little to no opposition. What is Statewide Proposition 1? How Much Do Bad Roads & Texas Traffic Cost Drivers Every Year? Voters in Travis County can vote at any polling place -- not just their precinct location. This map from the Travis County Clerk shows all voting locations in Travis County. Update, Nov. 5: Austin voters decided against the light rail and road improvements proposal, commonly known as Austin's 'Prop 1.' The final tally of votes had the proposal losing by a wide margin, with 57 percent of voters saying "No" and 43 percent voting "Yes." That's a 14-point loss for the light rail and roads proposal. Original story, Nov. 4: It's the biggest debt proposal in Austin history, and it comes to a billion dollars in all: $600 million of it for a starter light rail line, with $400 million for improvements to state roads. There's a lot to unpack here, and plenty of debate on the merits of this transportation proposal. 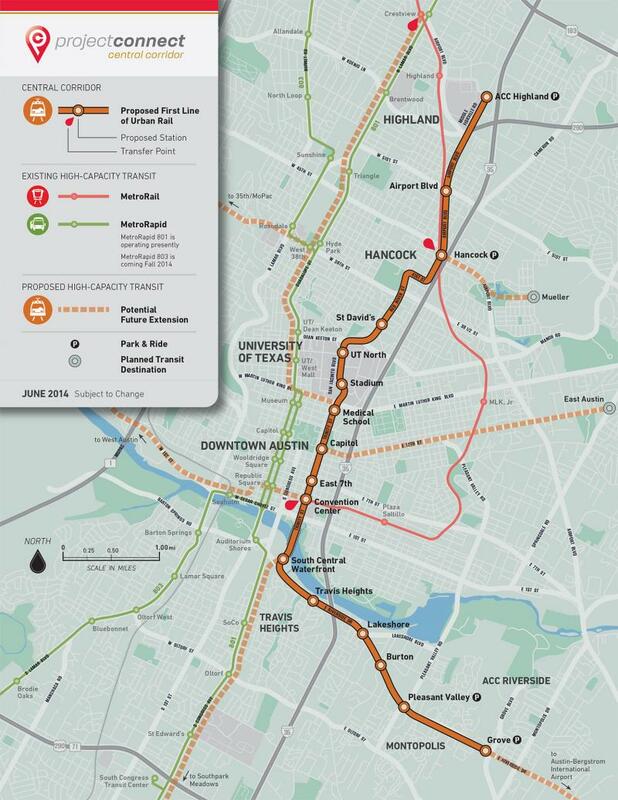 So here it is, the (hopefully) last explainer you'll need this election for Austin's rail and roads proposition, featuring our reporting over the many months (and years) leading up to today's decision. 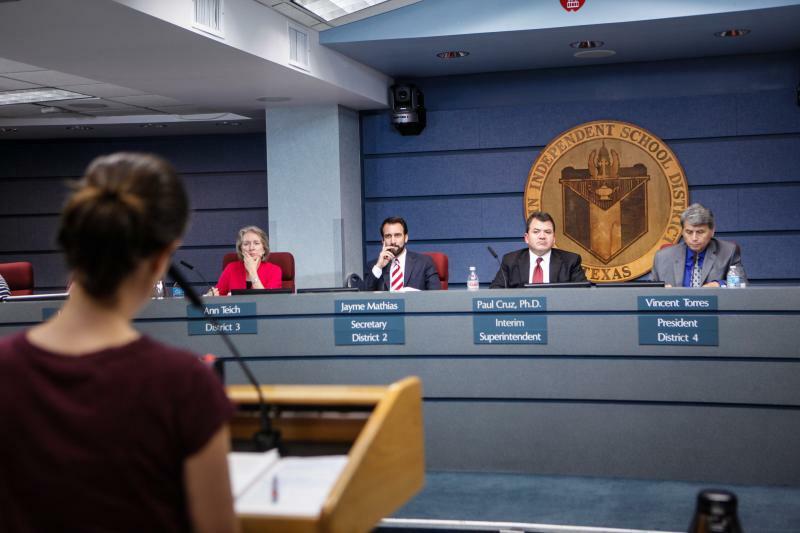 Five of the nine Austin School Board seats are up for grabs this Election Day. Current trustees in four of those five races decided not to run, which means there will be a lot of new faces on the school board. The turnover comes as the school district is looking for a new superintendent. The new school board will have some major decisions to make in the next few years regarding the district’s budget, overcrowded and under-enrolled schools and declining enrollment district-wide. Plus, for people who live within the district, most of an individual’s property tax bill goes toward AISD, not the city of Austin, Austin Community College or Travis County. So even if you don’ t have children in the district, or at all, the Austin School Board can still affect your wallet if it decides to raise property taxes. The race for Texas Governor has received much of the attention this fall, but last night it was the Comptroller’s race that took center stage. 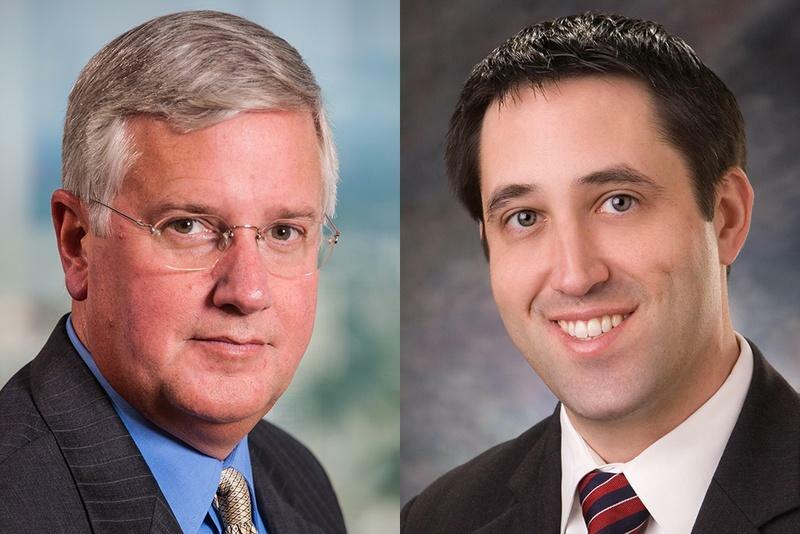 Republican candidate Glenn Hegar and Democratic candidate Mike Collier met at the debate moderated by Time Warner Cable’s Paul Brown, discussing the state’s incentive policy and the role of the comptroller in the state’s budgeting process.